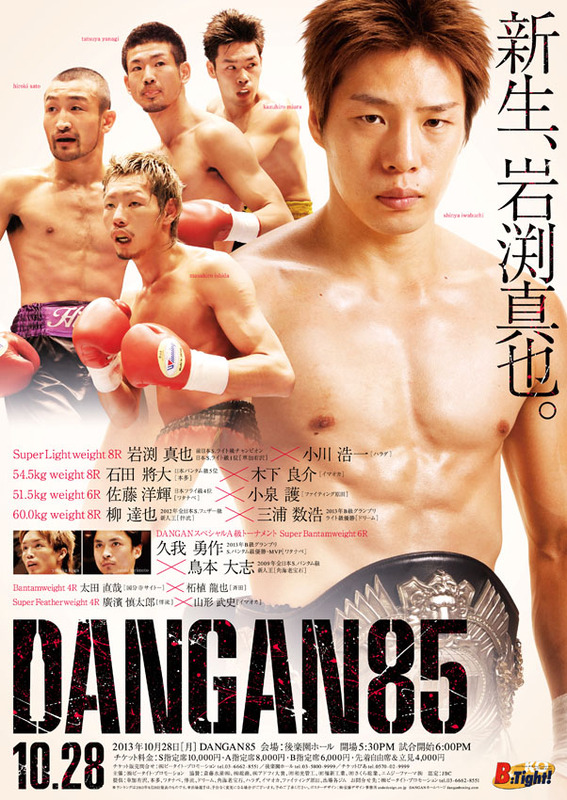 The Dangan series returns on October 28th with the 85th show under the "Dangan" banner. This show, held at the Korakuen Hall and promoted by reason Promotions is headlined by the return of recent OPBF Light Welterweight title challenger Shinya Iwabuchi, who faces Koichi Ogawa, though it also features 6 other bouts. Those other bouts feature two Japanese ranked fighters, though neither is as high profile as Iwabuchi. In terms of the poster it's actually one we quite like. Iwabuchi of course takes the majority of the space though with several of the other fighters on the opposite side it does contrast rather well and gives a decent look to a pretty interesting looking poster.